SmartCare enhances Emory Healthcare’s geographical reach and increases accessibility for patients. 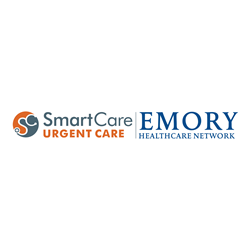 SmartCare Urgent Care, an urgent care and primary care provider operating six clinical sites in Atlanta and Athens, is affiliating with the Emory Healthcare Network, Emory Healthcare’s clinically integrated network of more than 2,000 employed and private practice physicians. This partnership enhances Emory Healthcare’s geographical reach and provides the network with ability to offer convenient, compassionate, on-demand care for non-life threatening health concerns. As part of the Emory Healthcare Network, SmartCare Urgent Care will be able to link into Emory Healthcare’s electronic medical record system to provide seamless care and transition for patients. If needed, patients who are referred to specialists within the Emory Healthcare Network for more complex treatment will already have a health record in the system. SmartCare Urgent Care offers an array of medical services to patients whether those services are needed on-demand or through scheduled appointments. “Our centers offer patients access to advanced care for any serious, non-life threatening emergency. We treat all injuries, illnesses, and time-sensitive ailments and have on-site x-ray and lab capabilities,” says Zobair Nagamia, MD, Chief Operating Officer of SmartCare Urgent Care. SmartCare Urgent Care serves nearly 75,000 patients annually and will continue to expand its existing footprint with additional sites in active development. SmartCare Urgent Care is physician owned and operated. At SmartCare, we are committed to placing the needs of our patients first by providing the highest standard of illness, injury and wellness care. No appointments are necessary at our modern, state of the art facilities in Atlanta Metro and surrounding areas, where we create a comfortable and convenient alternative to traditional emergency room and doctor’s office. SmartCare offers extended hours and courteous, experienced staff to get you on your way to feeling better fast. Above All, our mission is to provide you with “affordable care at your convenience”. To learn more about us, please visit our website at http://www.smartcareuc.com. Emory Healthcare, with almost 16,000 employees, is the most comprehensive health system in Georgia. In fiscal year 2015, Emory Healthcare had $2.8 billion in annual net revenue and provided $67.4 million in charity care. System-wide, it has 1,958 licensed patient beds. Emory Healthcare is the only health system in Georgia with three Magnet-designated hospitals, Emory Saint Joseph's Hospital, Emory University Hospital and Emory University Orthopaedics & Spine Hospital, for nursing excellence. Emory Healthcare's core purpose: "To serve humanity by improving health through integration of education, discovery and health care." For more information, visit http://www.emoryhealthcare.org.